Home » Lee Edition » Are You Living With Or Worried About Someone Suffering With Chronic Lower Back Pain? Are You Living With Or Worried About Someone Suffering With Chronic Lower Back Pain? Are you tired of dealing with a troublesome back? Sick of resting? Being told that only painkillers or risky spinal surgery are the ONLY option you have to find some sort of relief with your back? If you answered YES to any of the above questions…. You’re in the right place and I’ve got a solution that will help you overcome or ease your back pain ….. even if you’ve been told that nothing can be done or just to rest. Hi! I’m Dr. Scott Gray…. Local and expert lower back pain and sciatica relief expert located here in SWFL. I help people aged 50+ with chronic lower back pain and I’d like to help you too! What’s more, if you’re NOT the one who’s suffering, but your husband, wife, partner, mother, or father is, then please read on because I have some special information that may benefit you and them…. I’ve created a FREE and special report that will help you take the edge off your back pain but, more importantly, help you make a more informed decision about your health and your back pain. I discuss some very controversial topics as far as who I can help and not help, why most patients continue to suffer with chronic back pain, and give practical and natural remedies for healing a troublesome and achy back. This quick-reading report is waiting to be rushed to you and is packed full with easy to follow tips and advice based upon years of experience of helping people like you recover from the daily torment of chronic lower back pain. And the good news is this… Today I’m giving away a completely FREE copy of this report (Value $28). • The simple technique to getting a good night’s rest or not having to lay down in the middle of the day to ease your back pain…. plus much, much, more. More: Knowing what I reveal on the last tip could help you (or someone at home) move more freely, improve your posture, and even save you some money on chiropractic bills, or prevent an unnecessary risky spinal surgery. Well…you no longer need to wonder because our free and special report will help you get back to a life worth living and without suffering. 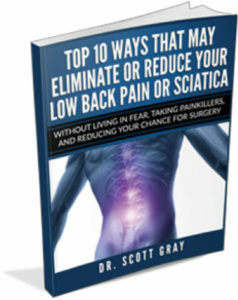 To claim your free and special report call this number: 239-223-0484 or go to www.swflbackpainreport.com and download it instantly. Next Belly Fat is One of the Hardest Problem Areas to Get Rid Of !